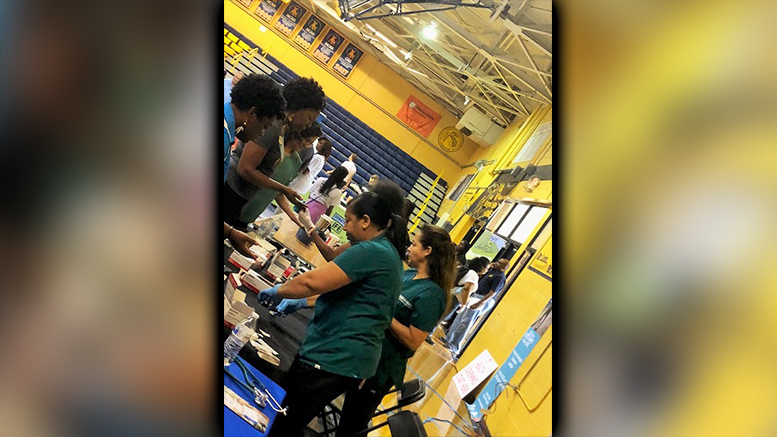 Charlotte Campus – The Medical Professionals Club assisted at the Spirit of the Heart Health & Education Fair, sponsored by the Association of Black Cardiologists. 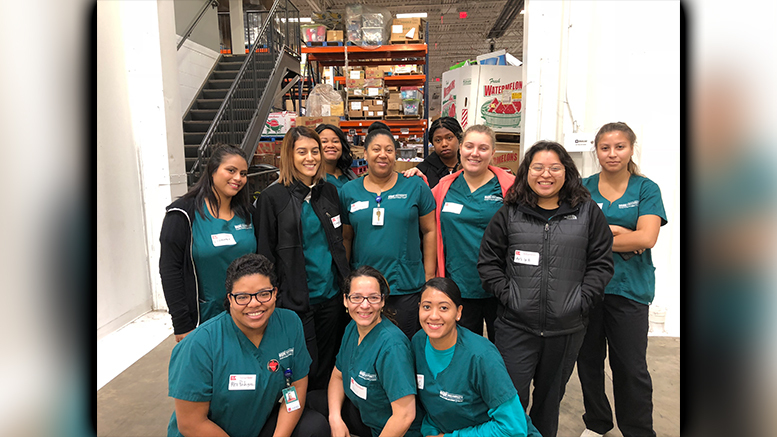 Charlotte Campus – Medical Assisting students volunteer at Second Harvest Food Bank. 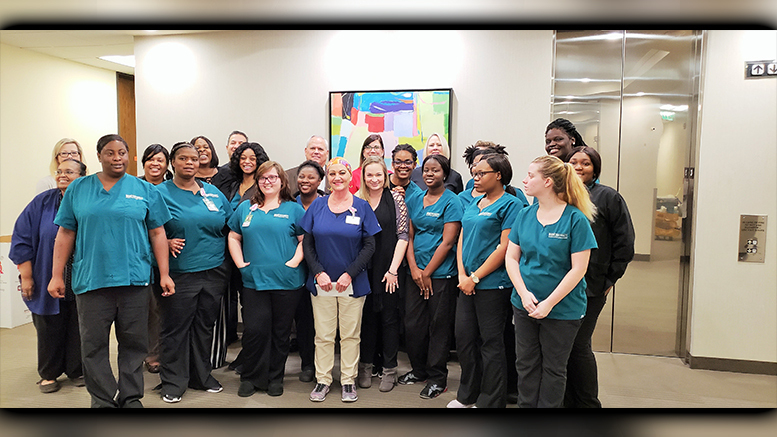 Columbia Campus – Students and staff raised money during Breast Cancer Awareness month and used the funds to purchase a gift certificate for Becky’s Place at Lexington Hospital for Nancy Hutto, a much-beloved housekeeper at ECPI University who was diagnosed in April 2018. Becky’s Place is a specialized boutique that sells a variety of items for those fighting breast cancer. Students and staff gathered to surprise Nancy who was overcome with emotion when presented with the gift certificate. Nancy is a true inspiration to everyone on campus. Columbia Campus – The IT Club sponsored a Feed the Hungry event, in partnership with First Baptist Church. With the help of family and friends, club members helped set up and take down the entire event, interacted with each individual that came through to eat, and helped them gather the items they needed. They cooked, passed out gift bags, blankets, jackets, socks, and many other items. In total, club members were able to help care for more than 150 homeless individuals. 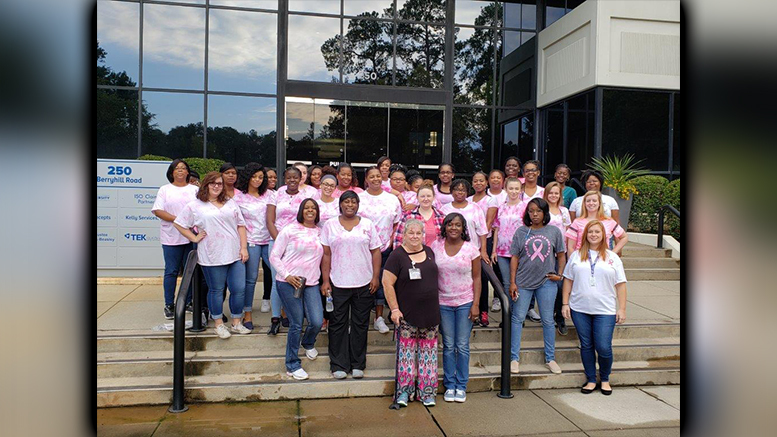 Virginia Beach Campus – Medical Assisting students honored National Breast Cancer Awareness Month by hosting “Walking with a Survivor,” featuring a presentation by Connie Flanery, a three-time breast cancer survivor. Students expressed their gratitude to Ms. Flanery by presenting her with a pink ribbon painting created by ECPI University’s own Angel Freebee. 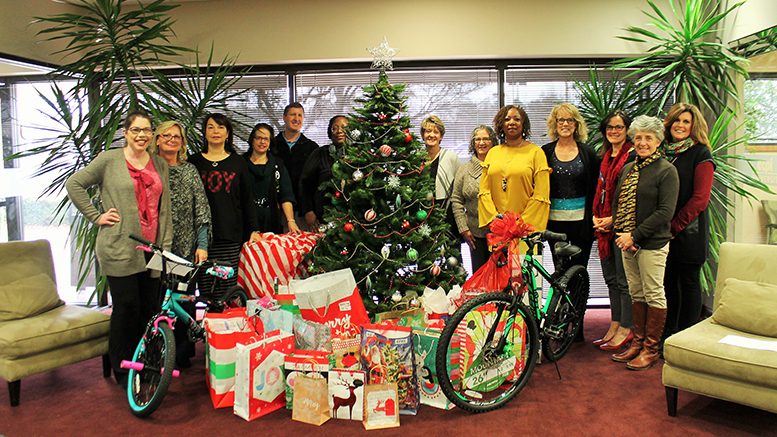 Greenville Campus – Students and staff adopted three local families for Christmas, purchasing multiple presents for each family member. Presents ranged from jackets to bicycles to karaoke machines to new bedding. 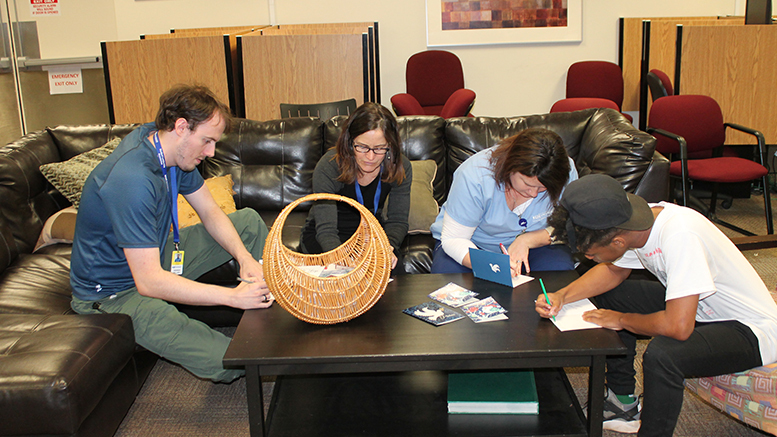 One Practical Nursing cohort pooled its money together and sponsored an entire family. 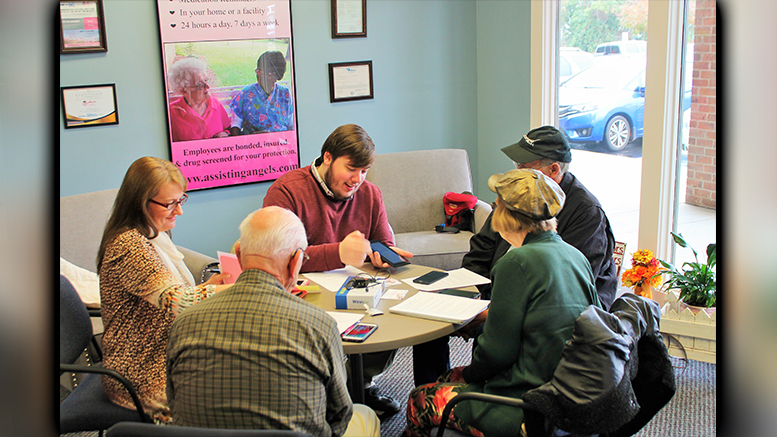 Greenville Campus – CIS student Alex Shaw volunteers at Assisting Angels Homecare helping senior citizens learn how to use their smartphones, tablets, and laptops. 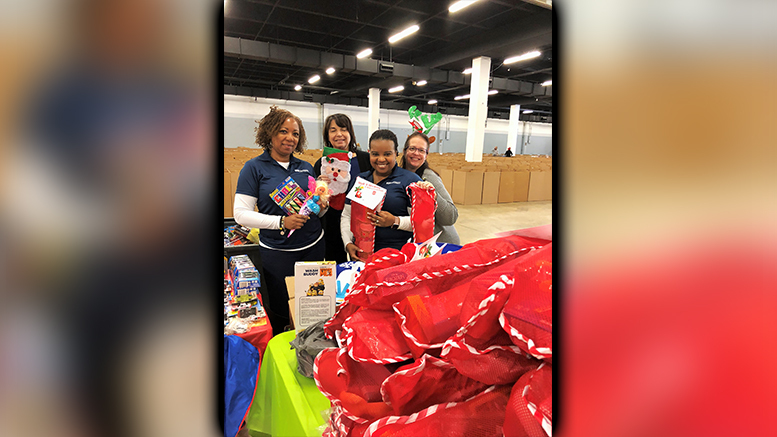 Greenville Campus – Staff volunteered at the Greenville Convention Center, helping pack boxes for Toys for Tots during the Christmas season. 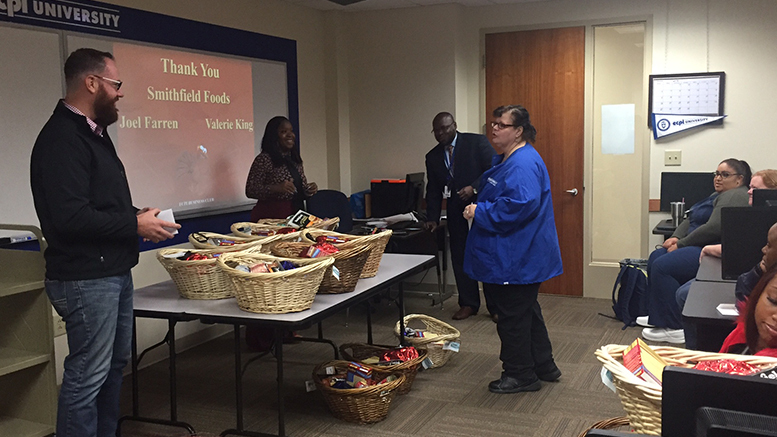 Newport News Campus – The Business Club partnered with Smithfield Foods to organize a drive to provide food baskets to ECPI University students in need during the Thanksgiving holiday. 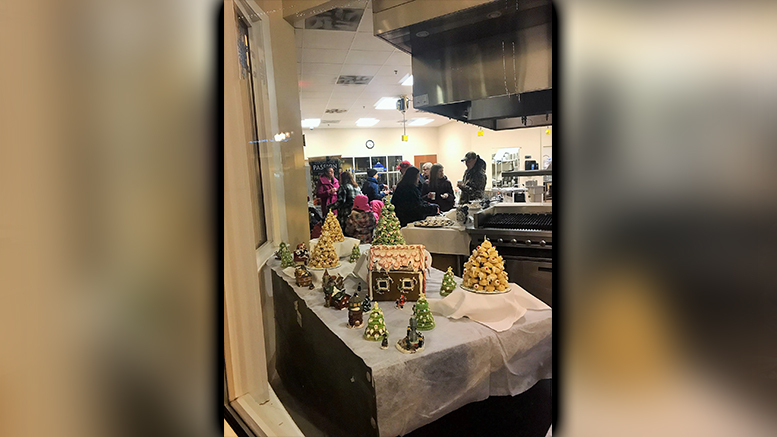 Newport News – Culinary faculty members and students got into the holiday spirit, taking part in Newport News’ annual City Center Northern Lights Holiday Celebration, serving up European-style hot chocolate, holiday sugar cookies, pumpkin spice truffles, and homemade cinnamon marshmallows. 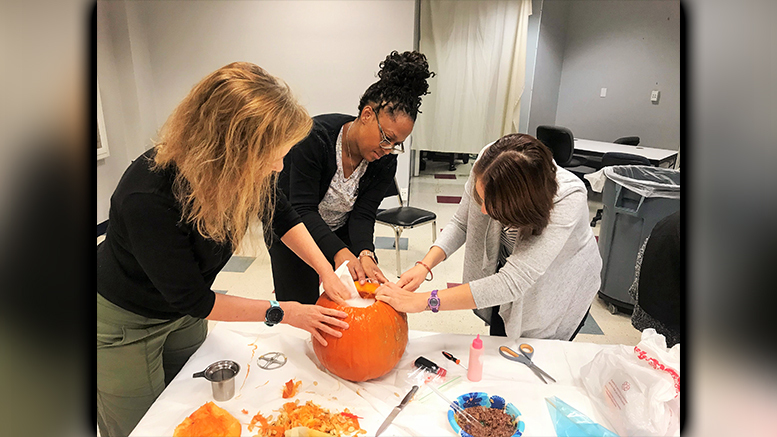 Northern Virginia Campus – Students, faculty, and staff faced off in a spirited Oktoberfest pumpkin carving contest and dessert bake-off with all proceeds from the sale of desserts going to Alex’s Army Childhood Cancer Foundation. The Best Taste Award went to Campus Director of Academic Affairs Dan Ribaudo (double layered apple cheesecake) with Best Presentation Award going to Dr. Erica Jones Foster (“The Brain”). And after 250 votes cast, first place for pumpkin carving went to the Medical Admissions Team. Medical Club President Mia Harvey, Co-President Argentina Rojas, Vice President Yahreevah Beckless, Co-Vice President Denis Valderrama, Secretary/Treasurer Amneste Bynum, and Co-Secretary Teana Speights. 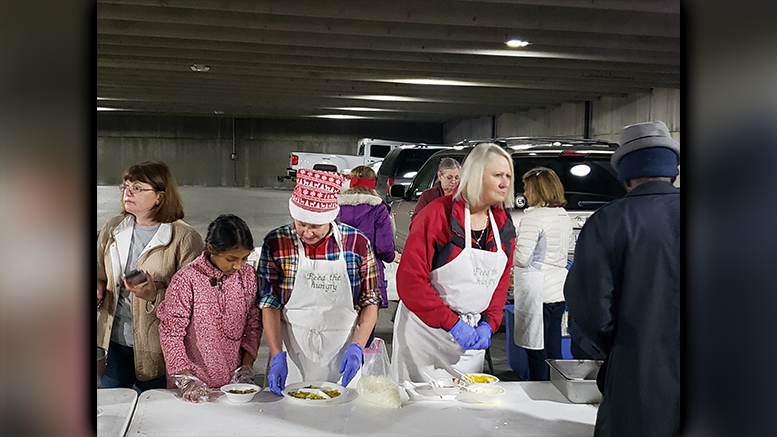 Raleigh Campus – Members of the Medical Club were quite active during the holiday season, volunteering to support the Raleigh Rescue Mission, Toys for Tots, Salvation Army, Helping Hands Mission, and March of Dimes. Richmond/Innsbrook and Moorefield Campuses – Cyber and Network Security students participated in a hackathon to raise funds for Tech for Troops. Tech for Troops is a charitable organization based in Richmond, Virginia that provides information technology training and refurbished computers to veterans free of charge. The event tested competitors’ skills in cryptography, username/password cracking, privilege escalation, and physical challenges. 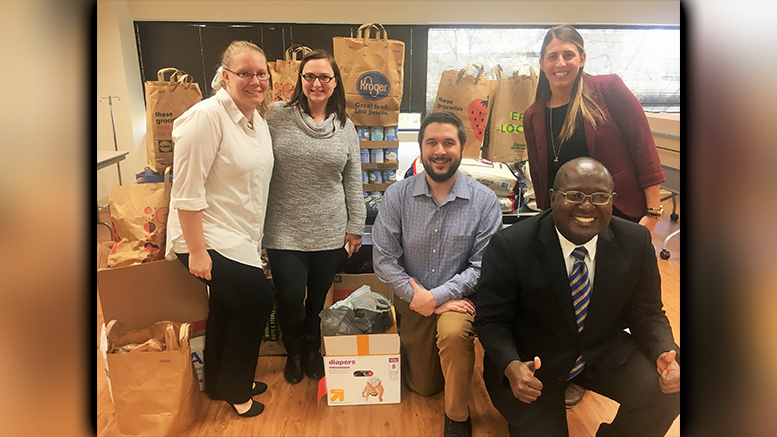 Richmond/Emerywood Campus – Students, faculty, and staff held a food drive to support Feedmore, collecting more than 1,000 pounds of non-perishable items. 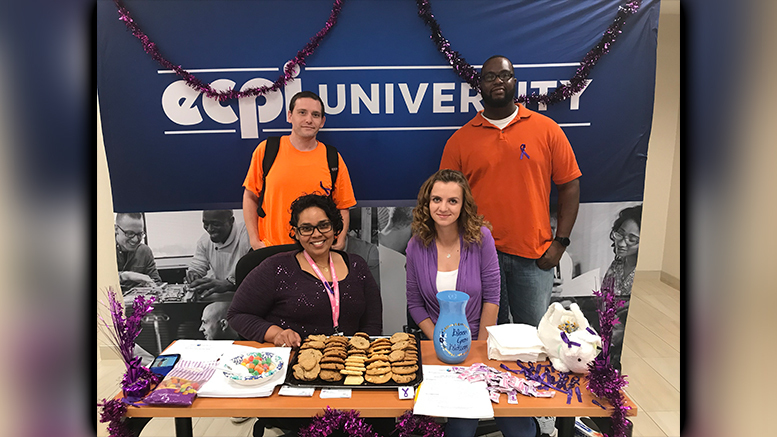 Richmond/Moorefield Campus – Criminal Justice student Valentina Aliu spearheaded a cookie sale to raise money during Domestic Violence Awareness month, raising more than $150 for Safe Harbor which works to rebuild the lives of those who have experienced domestic violence, sexual violence, or human trafficking. 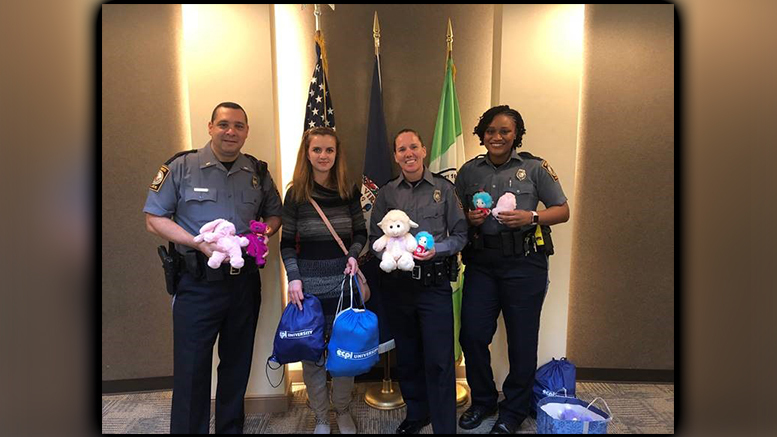 Richmond/Moorefield Campus – The Criminal Justice Club organized a drive to collect stuffed animals and thank-you cards for local first responders who deal with traumatic events involving children. The stuffed animals are used to soothe their nerves. In total, the club collected more than 250 donations and passed along more than 50 handwritten thank you cards. 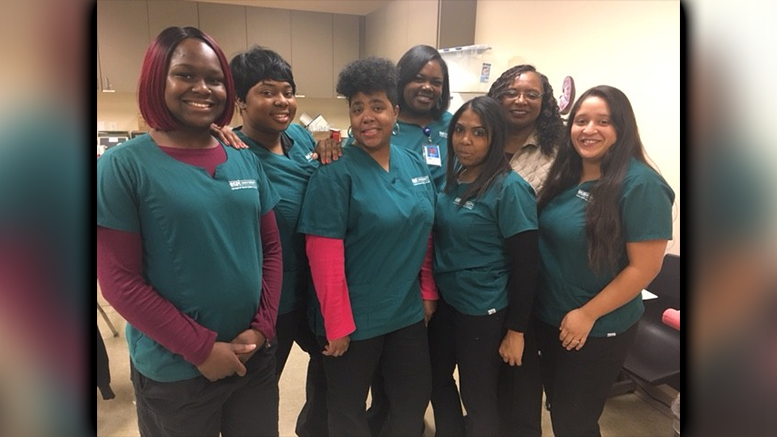 Richmond/Moorefield Campus – Health Information Management students Tiffany Gerald, Asia Keith, Rhoda Hewitt. 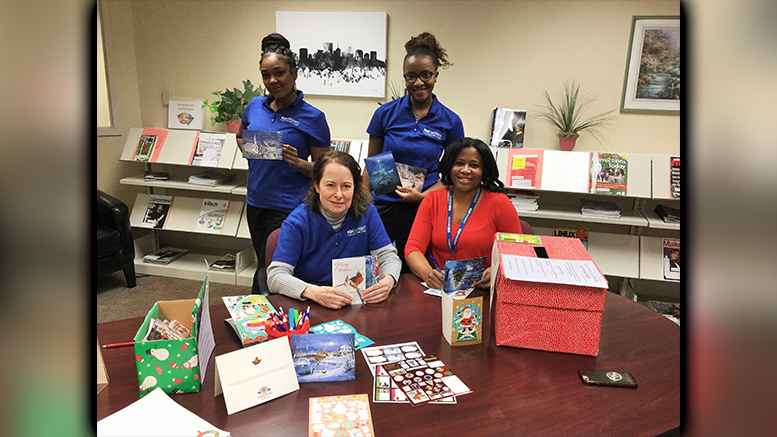 and Program Director Robyn Richardson joined the campus-wide effort to compose holiday cards to service members serving overseas. 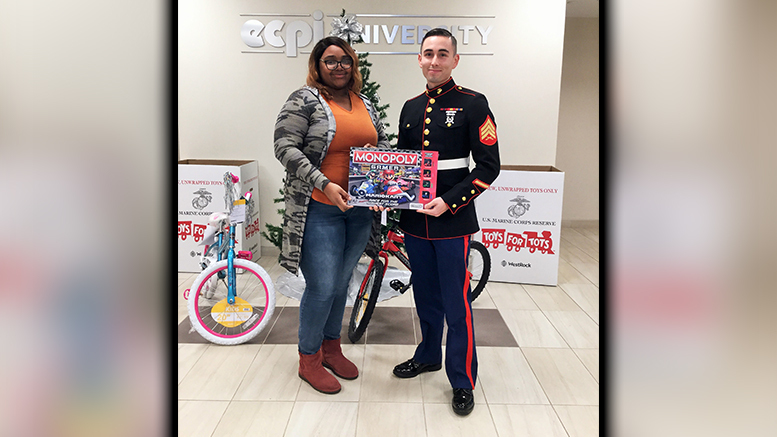 Richmond/Moorefield Campus – Te’quasha Mason-Tucker and Sergeant Danni Ramirez, both Cyber and Networking Security students, joined fellow students, faculty, and staff in collecting donations for Toys for Tots. 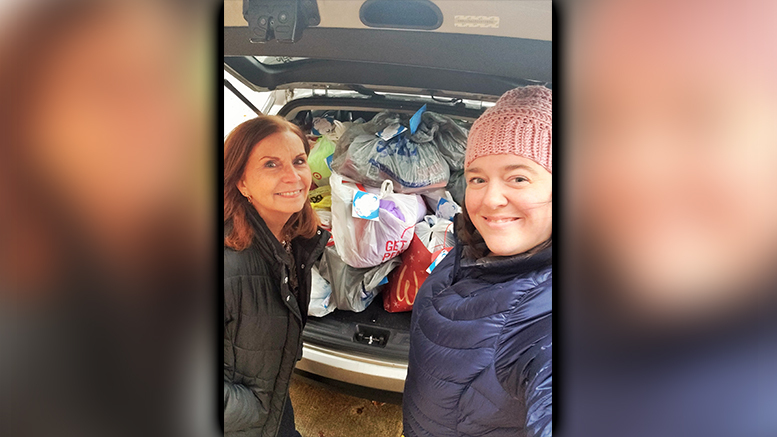 Virginia Beach Campus – Student Services Coordinators Nadine Newhart and Tabitha Aguigui load a delivery of donated items for the Salvation Army’s Angel Tree program to provide holiday presents to children in need. 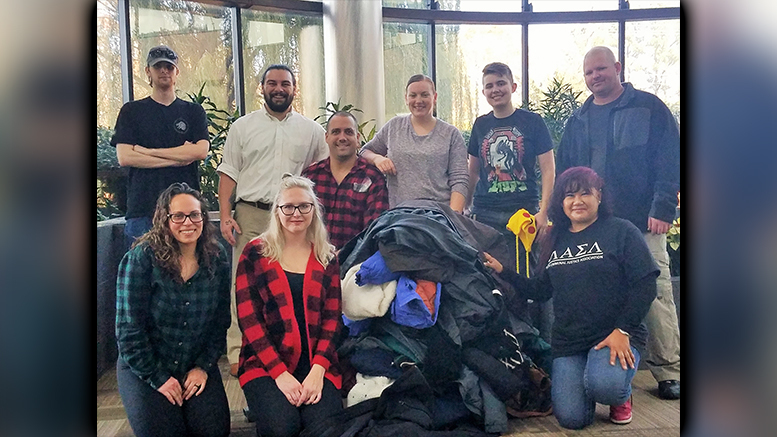 Virginia Beach Campus – Members of Lambda Alpha Sigma Lambda held a coat drive to support OneWarmCoat.org, collecting more than 50 new and gently used goats for people in need. 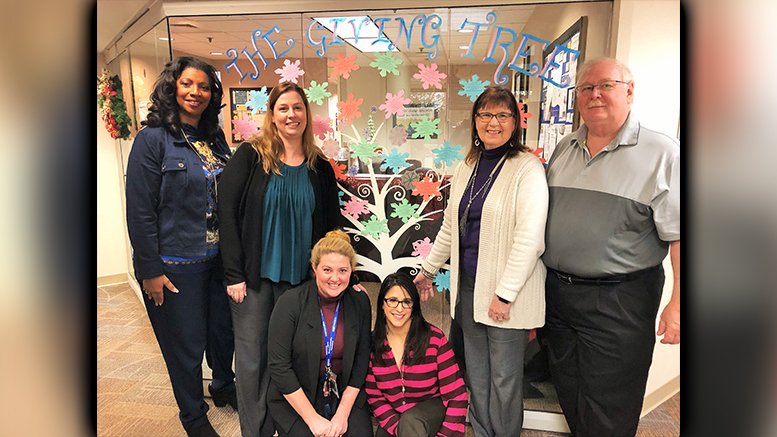 Virginia Beach Campus – Students, faculty, and staff rallied to provide holiday assistance to students on campus who are struggling financially, collecting donations of food and presents for their children, more than 80 in total.